We are not referring to “the Content churn” vacuum a lot of companies fall into when they mass produce recycled, generic content to profit from an engagement frenzy. The type of content that is going to be successful for you is the one that is born out of users’ search intent and that fulfills its purpose by answering their questions at different stages of the funnel. While we all agree that Content marketing is the process of creating relevant and valuable information that benefits and engages the audience, there is no universal definition of what “Great Content” is. Content Marketers need to come up with a strategy for each step of the consumer’s buying cycle, across different channels. In fact, a Marketing strategy does not exist without solid content to support it every step of the way. 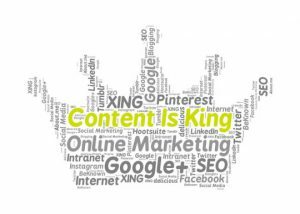 Social media, SEO, PR, PPC, Inbound marketing and Content strategy are all dependent on high quality content. Does this look complicated enough already? You haven’t thought about your overseas audience yet! 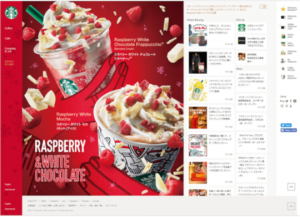 What is Content Marketing in Japan like? When it comes to “exporting” your content abroad for you international audience, localization is key. However, localization is not mere translation. If your are willing to do content marketing in Japan, you must take into account cultural conventions, writing style, degree of formality, current local trends and even the way people interact with the content itself. It’s not exactly an easy task. If you want to know more about localization and SEO head out to our previous article dedicated to Japanese SEO. Now, let’s focus on the Content Marketing scene in Japan. From Websites homepage to printed ads, in Japan people like to have all the information they need gathered in one place. For this reason, ads tend to look very busy, colorful and bright. Don’t be stuck in the simple and minimalist design you have learnt in design school. What might seem professional and clean to you, can actually look unreliable and sloppy to the eyes of the Japanese audience. Being focused on details, shows your audience that your product is a high quality one. Story-telling is an important way to communicate. Don’t leave out any small detail. In terms of imaging and video production, what you use to promote your services or goods is important. The Japanese audience is very attentive to how people present themselves. They might be sensitive to the subjects you choose in your images and videos. Making a poor choice can lead the audience to misunderstand your product. Your brand might be seen as unreliable, cheap or even disrespectful. There is no denying that Manga has a strong entertainment, communication and cultural power in Japan. Both big and small companies can leverage this powerful tool not only for B2C but also B2B marketing. In fact, startups looking for business partners generate a good response when using manga/anime marketing. That is because potential partners like the laid-back and fun image startups tend to have. According to a research done by MANGAPLUS (a provider of manga marketing campaigns), including manga storytelling in your strategy, increases average visit duration by more than 1 minute and decreases bounce rate by 14%. As an example, the picture above shows ANA’s travel campaign aimed at targeting families with small children. 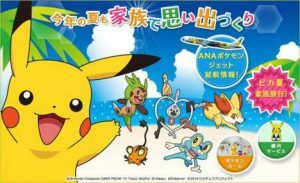 Among the benefits, the chance to fly in a Pokémon jumbo jet and stay in a personalized hotel room. Historically, content marketing in Japan has always been centered on shocking and surprising emotions. It has proved to be an effective attention-grabbing strategy for a while. Recently, companies have shifted their advertising style towards a more relatable and empathic content, aimed at influencing people’s emotions. To achieve its target of 20 million overseas tourists for the 2020 Olympics, the government of Japan is exploiting the phenomenon of Otaku tourism. It’s basically tourism generated by anime fans who travel to visit the locations where their favorite anime takes place. Companies in the travel industry, like Expedia are including “Otaku” content in their website to attract foreign tourists. The Automotive and the FMCG sector have been successful at that generating highly viewed and shared content. Let’s bring up two relevant examples to explain the importance of video advertising when it comes to content marketing in Japan. In 2016, Toyota uses the power of heart-warming feelings in its lovely video ad titled “Loving Eyes”. The ad shows what a father-daughter relationship is like from both their perspective. The ad became the most viewed ad in the car sector for 2 years in a row. (You can check out the video we included above). Shiseido‘s ad “High School Girl” won two gold lions at the International Festival of Creativity held in Cannes. With the slogan “Everyone can be pretty” the video shows a classroom full of pretty girls only to reveal at the very end that those are actually boys transformed thanks to the power of make-up. Why should you focus on Mobile Content? 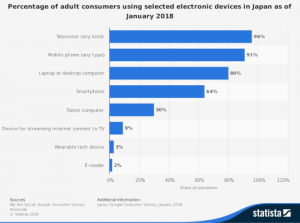 The Japanese audience is much more engaged on mobile compared to other nationalities. CTR can be 1.75 times higher and the video completion rate is on average 5% higher. In Japan, mobile is the means of choice and people spend most of their time with their devices. According to a survey conducted by the Ministry of International Affairs and Communication, 54.2% of respondents used smartphones to access the internet compared with 48.7% using PCs in 2017. Among the respondents, almost 90% of people in their 20s used smartphones. Whereas, 40% of people in their 60s did the same. Not only that, but measures of engagement such as completion rate and click through rate are significantly higher on mobile than on desktop. The same result holds if we compare it with other countries. Distributing content that targets mobile users is imperative for companies. But, don’t forget that a big chunk of aged users are still using their PC as their main device. Content Marketing growth in Asia has been slow but steady. There are many reasons behind it, for example the lack of a clear measure to compute the ROI, the long term commitment that this practices require coupled with high perceived upfront cost. Also, the nature of the potential audience in Asia, is sometimes more receptive to other types of marketing strategies. However there are several factors that are pushing Japan towards the idea that content marketing is paramount for a company success. For example, the 93% Internet penetration level and the gathering of communities on platforms like LINE, Instagram, Twitter and Snow. Social media is the channel where the importance of content marketing will most likely set foot in Japan. Wondering what kind of content is the most appropriate in Japan according to each social media platform used? FACEBOOK: Facebook groups are very popular in Japan especially for business purposes. Whether you are interested in B2B or B2C you should take this SNS into account. 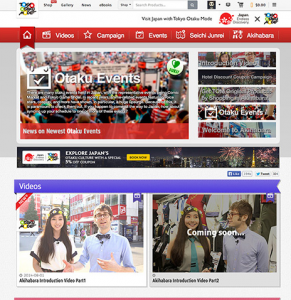 Furthermore in Japan, video content on this platform generates 7 times more engagement than any other type of content. TWITTER: It’s extremely popular in Japan, where it generates increasing users and sales over time. Thanks to the nature of the Japanese language and the persistent presence of TV in the life of Japanese people, twitter has been a vehicle for content in the form of text and links. INSTAGRAM: For obvious reasons the content is more visual and captivating than on other platforms. For this reason, the B2C model is the main objective of companies producing content on this platform. Artificial intelligence is booming in Japan and it has been adopted as one of the government’s bets to revolutionize the economy. The AI market is predicted to grow up to JPY87 trillion by 2030. The adoption of new technologies for automated marketing and personalized user experience can pave the way for more customized content. The benefits of this will probably be seen in more targeted and relevant reach, increased CTR and conversions. It is estimated that in the Asia Pacific area, 20% of all business-oriented content will be generated by artificial intelligence by the end of 2018. AI can help companies identify what their target persona likes and dislikes are. It predicts which topics are more successful for a specific audience. It identifies what kind of reaction to expect from users. To Sum up, Content Marketing in Japan follows the same core rules as anywhere else. However, without knowing the local customs and cultural features that make it so unique, the odds of failing at it are high. For a glimpse of how a digital marketing agency based in Japan helps companies localize their content, check out Info Cubic Japan SEO Solutions. Do you already have an idea of what your business needs? Fill out our form and we will get back at you with our proposal.